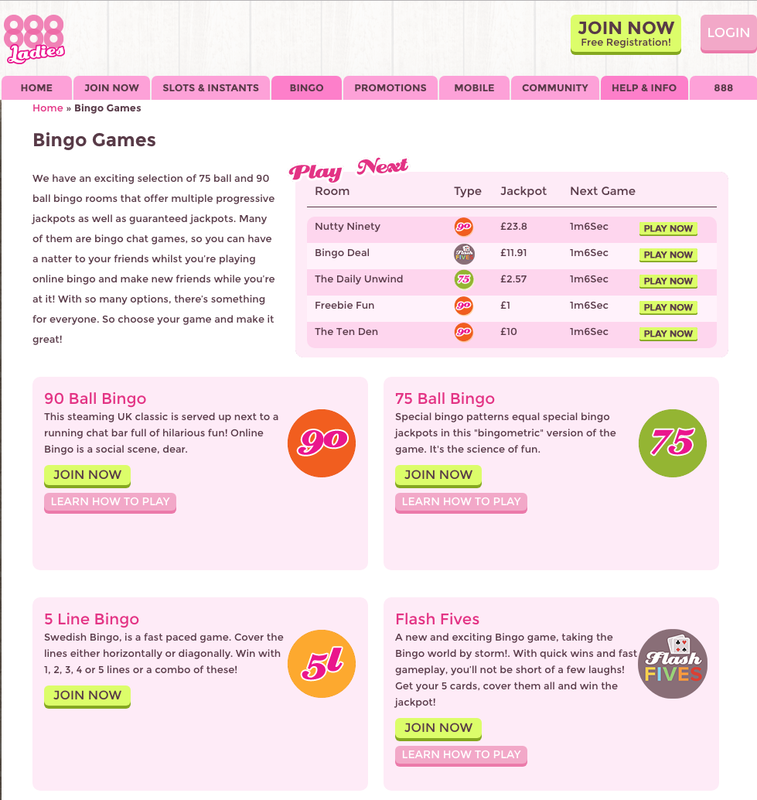 For true UK online bingo entertainment, you can’t beat 888 Ladies Bingo, they are brought to you as a part of the 888 group of sites and operate off Brigend/Cassava software. They are licenced in Gibraltar and this makes them UK White Listed. You may or may not know that comedian Vic Reeves, is the “Pink” face of 888 Ladies. The ladies and gents at this site are social butterflies; the blog is incredibly active as are their chat rooms and Facebook fan page. The games at 888 Ladies Bingo; these are the best of the best, from every game of bingo imaginable, to the best slots on the block. A massive range of large coverall and guaranteed prize fixtures are in place as well as instant games such as slots, casino, chat games and others. Both financial and privacy integrity is maintained by 128-Bit SSL encryption technology. This is multi-firewall software – that same as that used by major banks. 888 Ladies is also security certified by Thawte and all confidentiality guarantees are in place. All games are independently and extensively tested and audited for fairness. Contact them by UK telephone or email, 24/7 for any queries. All the popular and most effective payment and withdrawal methods for UK customers are used including Ukash, PaySafeCard, Neteller, Visa, Visa Electron, Delta, Solo, Switch, MasterCard and Maestro.